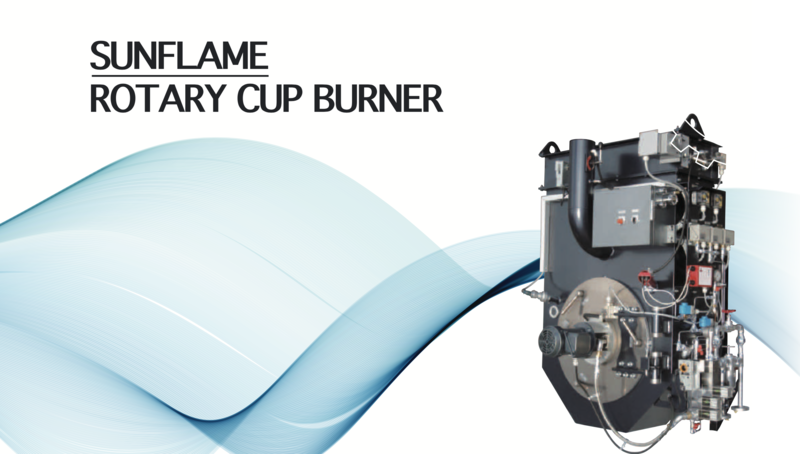 Sunflame is the world leading manufacturer of the rotary cup burner. 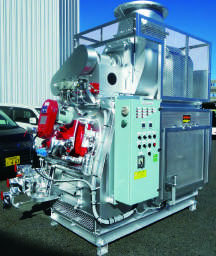 Based on the technology of the rotary cup burner, Sunflame produces boiler burners and incinerators for marine vessels, which are now being used throughout the world. In 1980, the rotary cup burner series of type SSR and type R were developed, and since then, Sunflame has been the leading manufacturer of the rotary cup burner for marine boiler plants. Since the SDR series, the main products of Sunflame today, was introduced to the market, the rotary cup burner of Sunflame draws a clear line between other brands’ rotary cup burners by the simplified design and by the easy operation and maintenance. Moreover, Sunflame supports the vessels further to meet the environmental regulation changes surrounding the vessels by optional items. The rotary cup burner of Sunflame is adopted not only for the boiler plant, but also for the waste oil incinerator, which can safely cope with the high viscosity of waste oil. The waste oil incinerator of Sunflame enjoys the reputation of disposing sludge oil without firing D.O. Sunflame's aim is to meet the customer's necessity efficiently and sufficiently. To fulfill its aim, Sunflame has developed its technology until today, and will also progress in the future. The most dominant characteristic of the rotary cup burner is the way of its atomization. Unlike the pressure jet burner which needs a small nozzle for atomizing, the rotary cup burner uses a cup with wider holes, meaning the structure of the rotary cup burner secures the burner from choking. By this characteristic, the rotary cup burner is capable of firing high viscosity oil like the HFO. Moreover, the rotary cup burner utilizes the centrifugal power for atomizing, which means that high pressure is need less for atomization.The low oil pressure of the rotary cup burner is safer to use when there is any leakage from the piping. The after sales service is the foundation of Sunflame business. 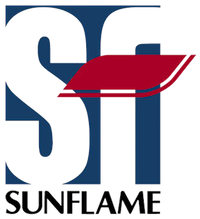 Starting as an after-sales service company, Sunflame not only sells its products, but flexibly supports the customers by repairing, suppling parts, and upgrading the product. Sunflame takes care of its products from the scratch to the scrap, and this is the core business of Sunflame. Sunflame is expanding its network throughout the world. Engineers who are well trained by Sunflame can be sent to vessels from the nearest station.